As the most talked about emerging tourism destination in the Kingdom of Bahrain, Downtown Al Areen is a singular mixed use model of sustainable urban development, which is expected to galvanise the tourism appeal and attract a wider range of visitors to the country and the region. With a total investment of USD 300 million, Downtown Al Areen will be to Bahrain what Champs-Elysees is to France or the Spanish Steps are to Rome. Downtown Al Areen is spread across an area of 96,000 square metres and located in the heart of the world-class leisure destination - the Al Areen Development. 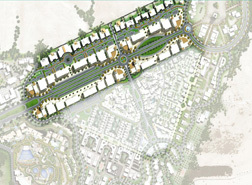 Downtown Al Areen includes two main components namely, Boulevard North, Boulevard South. 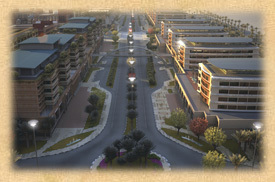 The components are expected to be ready by the end of 2010.